Arrive in the Netherlands on April 27th, and you will find yourself surrounded by orange and a party atmosphere. Welcome to King’s Day in the Netherlands. 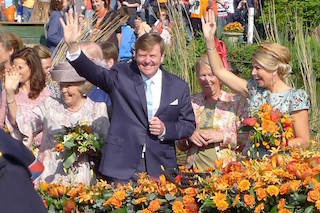 King’s Day, also known as Koningsdag, is celebrated on April 27th, the Dutch King Willem-Alexander’s birthday. The tradition was originally called Princess’ Day and celebrated on August 31st, the birthdate of the then Princess, Wilhelmina. When Wilhelmina became Queen, the name was changed to Queen’s Day, but the date remained the same. Both Wilhelmina’s daughter, Juliana, and granddaughter Beatrix continued the Queen’s Day tradition, albeit on a different day, April 30th. Did You Know? Beatrix’s birthday is actually in January. But knowing an outdoor party is not all that fun in the dead of winter, she graciously decided to keep the April 30th date. 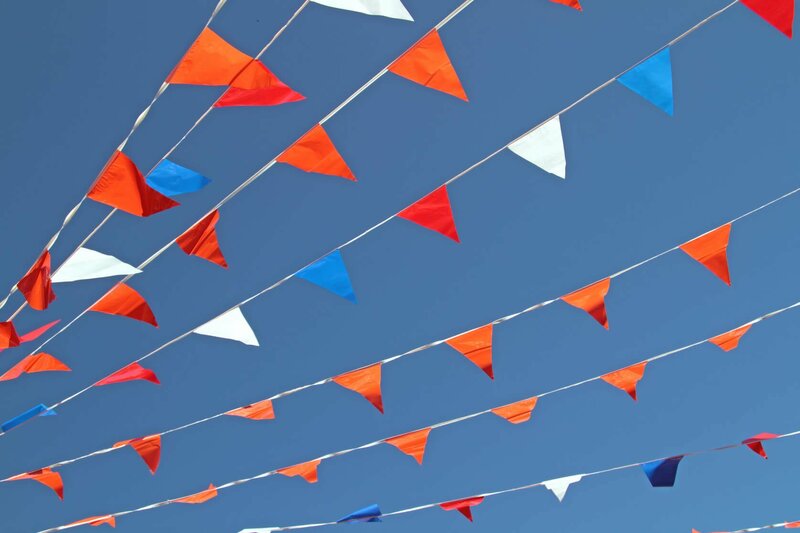 To sum that up, King’s Day in the Netherlands is now celebrated on April 27th, not April 30th as some tourists with out-of-date guidebooks have found out. And if you weren’t already familiar with the Dutch love of the colour orange, then by the end of King’s Day you will be. The Dutch Royal Family is known as the House of Oranje. Oranje means orange in English, hence the increase of the colour on this special day. It was Beatrix who introduced the practise of gathering up her family and visiting areas around the Netherlands on the day—a spectacle that can be watched both in person and on TV. But it is the other King’s Day festivities that are the real attraction. Fact: Around 250,0000 people arrive in Amsterdam by train on King’s Day. Starting the evening before, you’ll find musical performances in The Hague and other big cities. On the day itself, live music, lots of decorated boats on the canals, flea markets, and street parties—all with plenty of orange—can be found. Expatica has a handy King’s Day guide with additional information on activities in each of the main Dutch cities and more ways to enjoy the day itself. Fact: King’s Day is the only time when you are allowed to sell on the street without a permit. So, if you are in the Netherlands on April 27th, indulge in a glass of orange bitters and head out into the city centre to see how the Dutch celebrate King’s Day in the Netherlands.